(1) Sprint approximately 15-20yards for 1 minute. 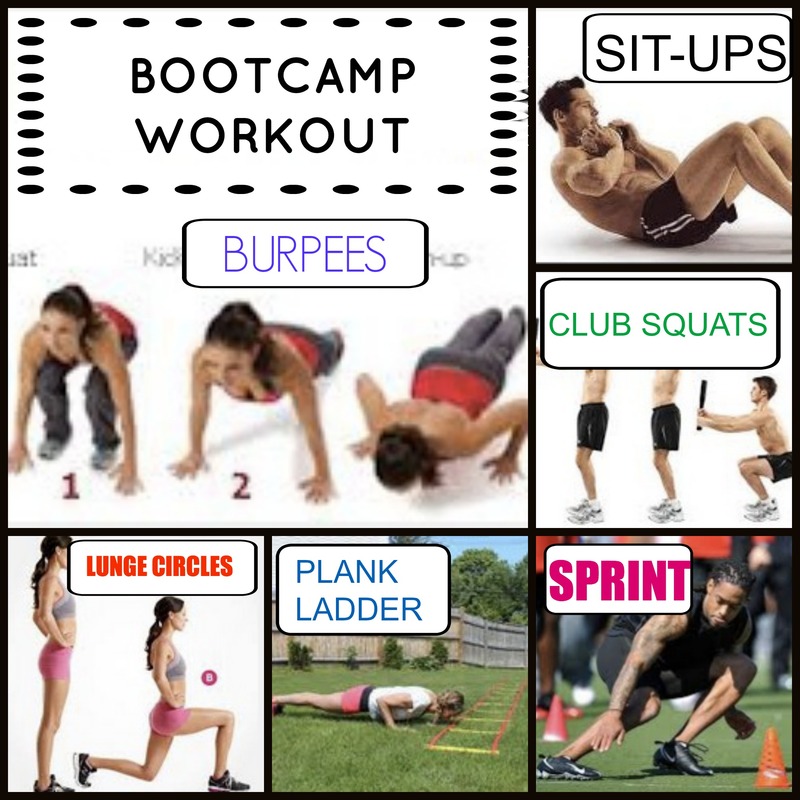 (2) Side step twice, burpee, side step back, burpee for 1 minute. (3) Squat holding a weighted club. As you raise, press club out in front of you, twisting your hands as if you’re wringing out the club for 1 minute. (4) Plank Ladders – move hands and feet up and down ladder, maintaing plank position for 1 minute. (5) Lunge Circles: lunge out front with each leg, to the side each leg, diagonally back with each leg (45 degree angle back), and reverse lunge each leg. Repeat for 1 minute. (6) Sit-up, touching each shoulder with the respective hand. The goal is to not use momentum and arm counterweight to help you sit up. Then twist, touching each elbow to the ground, and return slowly to the starting position. Do this for 1 minute. We then took approximately a 2 minute break and then repeated the circuit a total of 3 times. This was a HARD workout, and it was scheduled to complete it 4 times total, but it was a lot for (most) of us. I like this workout idea because it requires the use of legs, and core, and if you do a pushup with each burpee, a lot of arms as well. The goals on the left are totals for the week, and each day there’s a set number to try to reach. What I did was cycled through the exercises until I had completed the correct number. Squats are easy for me, and scissor kicks aren’t bad, so by the end I was alternating between planks for as long as I could and burpees. It was rough and definitely a good workout each day.